In honor of the upcoming 4th of July holiday, I thought I’d share a few of my favorite beauty and fashion products that are all made in the USA. Now, I’m not recommending that you ditch all your favorite outsourced products and shop exclusively American-Made items for the rest of your life. That’s not entirely realistic. Maybe for the month of July, though, we could make it our mission to support US products more? Give them a bit of a boost? Shopping items made in the USA helps grow our own economy and keep more jobs here, where we desperately need them. 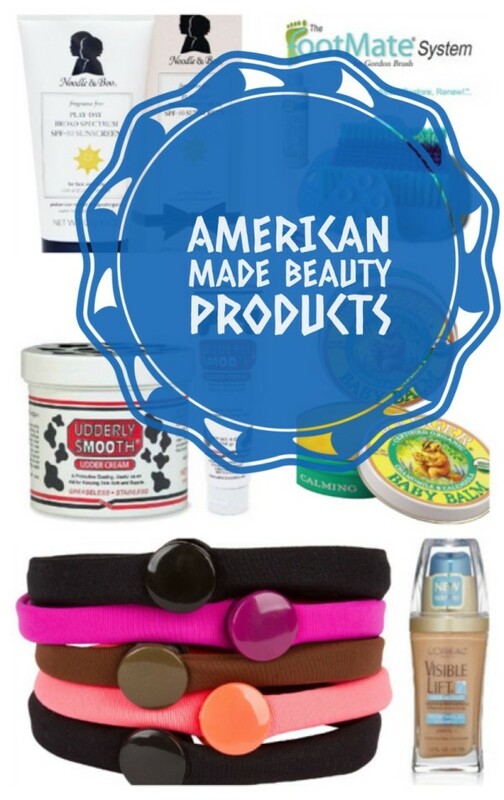 Let’s get to those Made in the USA beauty and fashion products! Keep in mind that in some cases, just the individual products listed below are US-Made. That doesn’t mean every product in the company’s portfolio is made here. Also, just because something is MADE in the USA doesn’t mean all the ingredients in it come from the US. Still, Made in the USA means that a good portion of the work was done here, and that’s something! 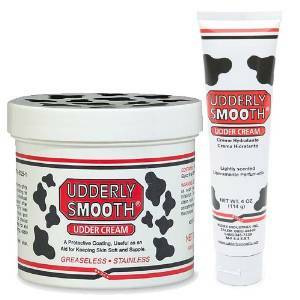 Udderly Smooth Udder Cream: This stuff is amazing for dry skin. It used to sooth cow udders! Keep it in your fridge during the summer and apply it to sunburns or overheated skin for a really soothing experience. Udderly Smooth isn’t just Made in the USA, it’s also not tested on animals. It doesn’t really need to be, since it was originally MADE for animals. Noodle & Boo: All of Noodle & Boo’s mama & baby safe products are made in the US. They have a great line of skin care goodies for pregnant women, new moms and babies. Of course, you don’t have to be any of those to enjoy them! It just means they put a lot of work into making sure their stuff is safe for extra-sensitive skin. L’Oreal’s Visible Lift Serum: Yes, the name of the company is French, but this particular product is made in American. I love it because it evens out my skin tone without settling into any large pores or itty bitty lines I may have. I don’t exactly have wrinkles- thankfully- but at almsot 40, I also don’t have the flawless skin that I used to have. The “visible lift” comes both from the fact that it creates a smooth surface right away and, over time, fights signs of aging. 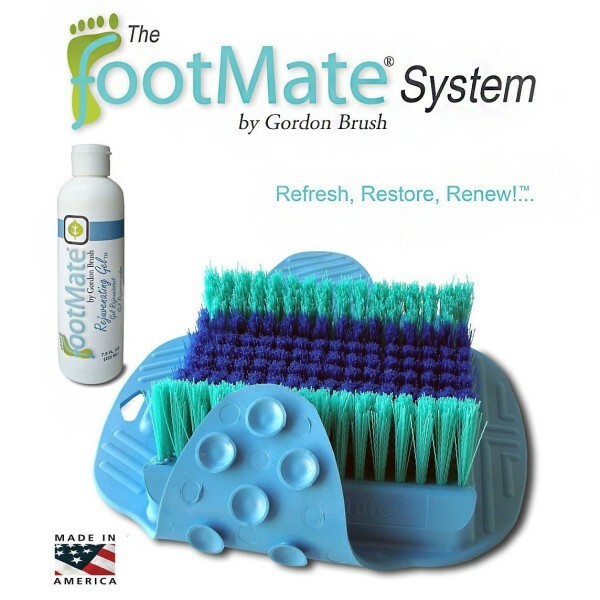 The Footmate System: This looks so cool! It’s a foot washing system that you put in your shower. It scrubs and massages your feet. I have such dry feet all year long, so I’m seriously thinking about getting this. Has anyone tried this yet? The Amazon reviews are good, but I’d love to hear from one of you. Badger – Aside from their sunscreen (some are manufactured in Canada), every one of the Badger products is made in the USA. Most are made up in their environmentally-friendly New Hampshire facility. A few are made in Vermont and Iowa. I absolutely LOVE Badger. I have ever since Jake was born and their Baby Balm was the only thing that soothed his diaper rash. I could go on about them for pages, so let me just say: try them, you’ll love them! 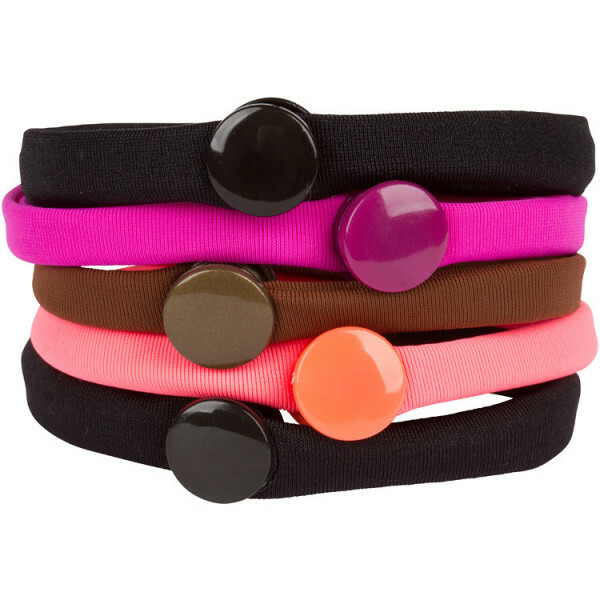 Snappee: The other day, I told you about Snappee, the cool snap-off hair ties that help tame even the thickest mane. What I failed to mention in that post is that Snappee is handcrafted right here in the US. You can also throw them in the washer and dryer, making them pretty much the best hair tie on the planet. Star Studded Fashion by How Was Your Day? Do you have a favorite made in the USA beauty product? Tell me about it in the comments! I love putting my money towards products made in the USA! I actually have recently started checking the products i buy to see where they’re made, and i already buy the Badger brand, i use the insect balm. 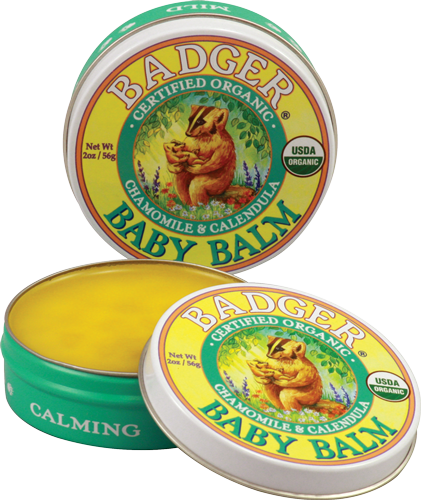 Being from Vermont, I am a huge fan of Badger Balm. I have several on hand all the time. Great list! 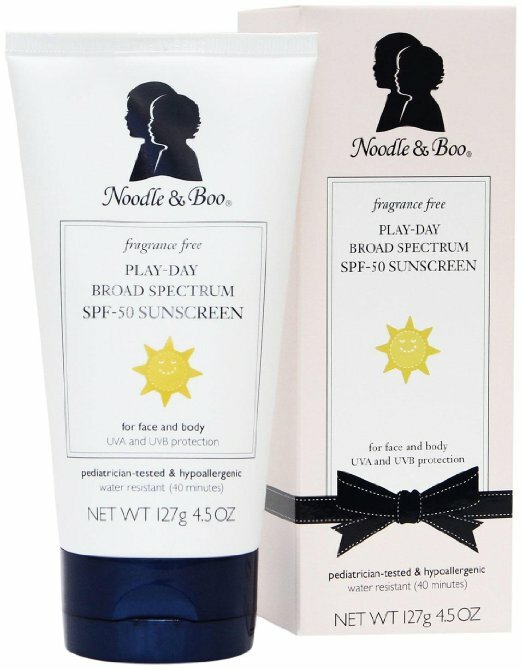 I’d love to try the Noodle & Boo products! I love products made in the USA! I am so glad to know that Udderly Smooth Udder Cream is made in the USA! I use it all the time and it really works in keeping my skin so soft. And I also use this product-L’Oreal’s Visible Lift Serum! It really works great on my face. I Love Badger and ALL of their products! Such a great company!! Those Snappees look cool, too!! Ok, definitely going to check out Badger now!